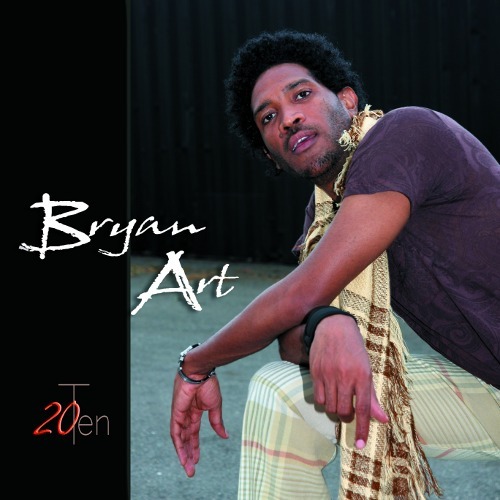 Bryan Art is ready to release his debut album 20Ten for March 2010. He has been known as an outstanding Jamaican voice for some time and now he is all set to take his music to Jamaica and around the world. His latest releases “Ready Or Not” as well as “Murder Dem A Play” feat Queen Ifrica have been received exceptionally well on the international market. 20Ten is a reflection of Bryan Art as an artiste and all true music lovers will enjoy every song on this album. “Being able to express myself through such a powerful medium is more than a privilege and even though I have missed so many deadlines and have had to face the music, I must humbly acknowledge the honor I found in the fact that so many people keenly await my work. My solo career started out very gradually but I had hoped for not much delay in presenting the very first compilation which was due, completed but still unreleased.